Warring couples may think twice about airing their dirty laundry in the Family Court after it ruled the Tax Office could use financial information filed in one dispute to audit the parties for potential tax evasion. In a case decided this month, a three-judge bench of the Family Court gave the Tax Commissioner access to documents in a feud between a Mr and Mrs Darling, a Peter Pan-esque pseudonym given to the couple by the court. It also released the Tax Office from an obligation not to use documents for a purpose unrelated to the original court case. The Darlings settled their Family Court stoush in December 2010 but the commissioner was dogged in his determination to use the documents as part of a massive audit of Mr Darling’s tax affairs stretching over two decades, from June 1991 to June 2010. The Tax Office wanted to know the value of “funds to support his lifestyle”, including worldwide assets and income. The Commissioner applied to the Family Court for permission to use the documents. He was knocked back last year by Justice Kirsty Macmillan, who ruled there was insufficient evidence of “special circumstances”. He successfully appealed that decision to the Full Court of the Family Court of Australia, comprising Justices Stephen Thackray, Andrew Strickland and Peter Murphy. The court found the Tax Office had provided sufficient information about the purposes for which it wanted the documents. Niv Tadmore, a tax partner at law firm Clayton Utz, said the case would make it easier in the future for the commissioner to argue the Family Court should grant access to documents.The decision is made on a case-by-case basis. 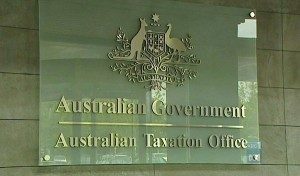 “The application [in the Darling case] was funded under the ATO test case litigation program, so the outcome of this case must have some precedential value in the mind of the Commissioner as to how he conducts audits in the future,” Dr Tadmore said. Among the factors that weighed in favour of granting access to the documents was that the Commissioner was conducting a “targeted, substantial audit” rather than a random exercise. The secrecy provisions that bound the Tax Office would ensure the documents did not “venture into the public arena”. The court said the decision was unlikely to create a greater disincentive for people to be forthcoming in Family Court cases, and they were under a “heavy obligation” to be frank. “It is vital to recognise that there is already a disincentive to ligitants to be frank with the Family Court about tax evasion because … the court can (and does) refer such matters to the authorities for investigation,” it said. A spokesman for the Tax Office said it did not expect an increase in the number of cases in which the Commissioner sought access to Family Court documents. “The Commissioner in some limited number of matters will seek to obtain access to court documents in general for the purposes of assessing a person’s tax liability and capacity to pay a tax liability,” the spokesman said.